Even Saudi Arabia’s rate of about 3,000 hours of solar irradiation per year is possibly record-breaking. As such, Saudi Arabia offers the perfect conditions for photovoltaics with its immense stretches of open desert. The kingdom’s heads of state are also increasingly starting to realize the importance of renewable energy, not least because of the benefit being that oil, which would otherwise be consumed in Saudi Arabia, can now be exported at a profit. Around 41 gigawatts of energy are projected to be generated in Saudi Arabia via solar power by 2032 – 16 GW from photovoltaics and 25 GW from solar thermal energy. Administrator and dealer of the giant oil deposits on the Arabian Peninsula is the world’s largest oil company and the kingdom’s best tax payer, Saudi Aramco. The state-owned company is simultaneously the biggest implementer of PV projects to date. The 10 megawatt PV project installed on top of the covered parking lot belonging to the North Park Office Complex, Saudi Aramco’s headquarters in Dhahran, is the largest PV project in the kingdom and makes the parking area the largest in the world to be covered with PV modules. 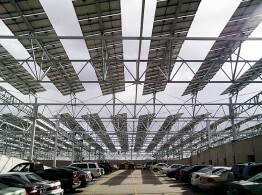 The 16 to 18 hectare company parking lot is covered with about 120,000 CIS thin-film PV modules. In addition to providing approximately 5,000 cars with shelter from the sun, the rooftop PV project also ensures that the electricity demand of the entire North Park Office Complex is met on a daily basis. 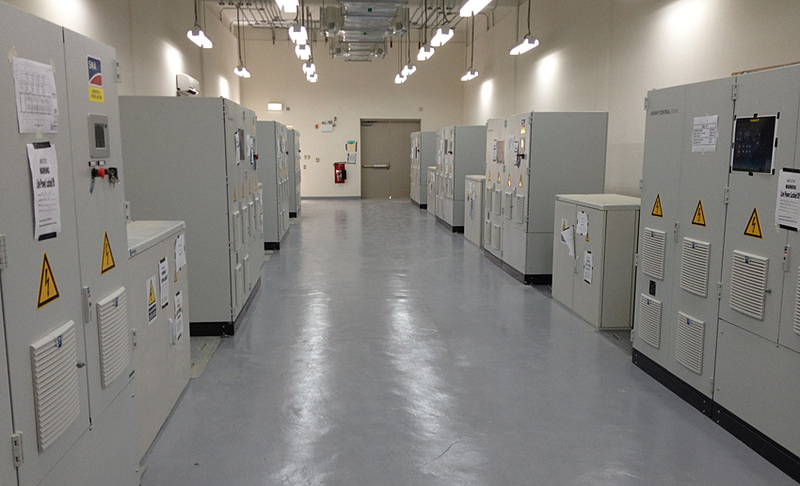 SMA is the local market leader in Saudi Arabia when it comes to inverters and has already installed 16 MW in the kingdom itself and over 65 megawatts in the entire Gulf region. SMA is represented in the area by a local service company and offers on-site service, training sessions and continuing education opportunities as well as support with sales and technology issues from subsidiaries in Dubai and Abu Dhabi. 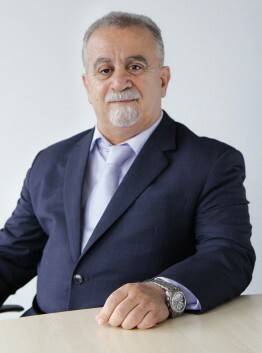 Oussama Chehab and his Emerging Markets team are responsible for managing the Saudi Arabian market from Germany. Responsible for PR and Products concerning PV power plants and commercial PV plants. Solutions, technologies, applications, and markets for small and large-scale PV plants. I knit my socks myself in winter.